National Guard officials don't hesitate in describing this latest deployment as a big deal. 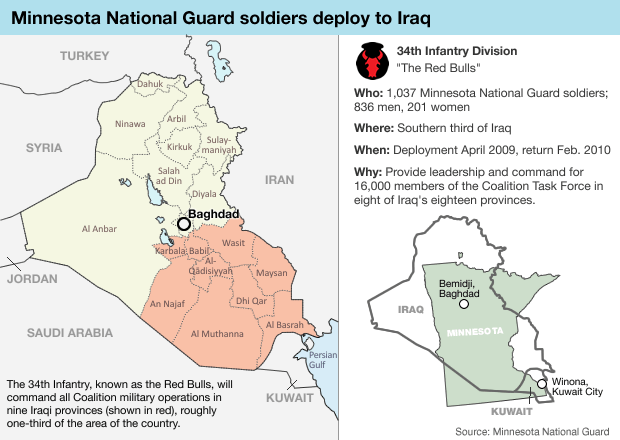 The mission will put the Minnesota National Guard's 34th Red Bull Infantry Division in charge of tens of thousands of multinational troops, as Iraq begins the task of rebuilding itself. "This is a very large mission for the 34th Infantry Division, and also for the Minnesota National Guard," said Lt. Col. Kevin Olson, spokesman for the 34th Red Bull Infantry Division. 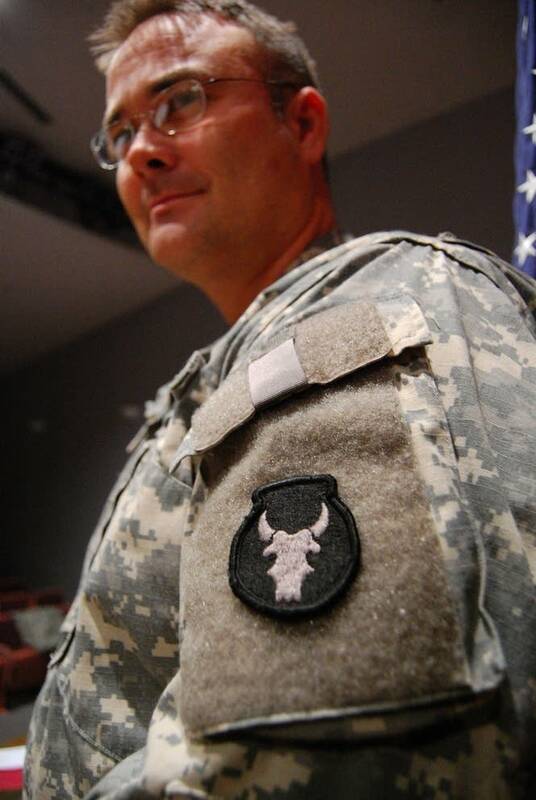 Olson is among the soldiers being deployed to Iraq. The number of soldiers involved in the mission isn't unusual. In recent years, the Guard has deployed more than 1,000 soldiers at one time to Bosnia, Iraq and Afghanistan. What's different about this deployment is the mission itself. Minnesota troops will be in command of 16,000 multinational troops working to secure Iraq, Olson said. "Our 34th Infantry Division headquarters will actually command all the coalition military operations in eight of Iraq's 18 provinces. That's about one-third of the physical territory in Iraq," said Olson. That territory is in the southern part of Iraq. It's about the size of Minnesota, and borders Saudi Arabia, Kuwait and Iran. The area is home to 8.5 million people. The troops being deployed come from all over the state. 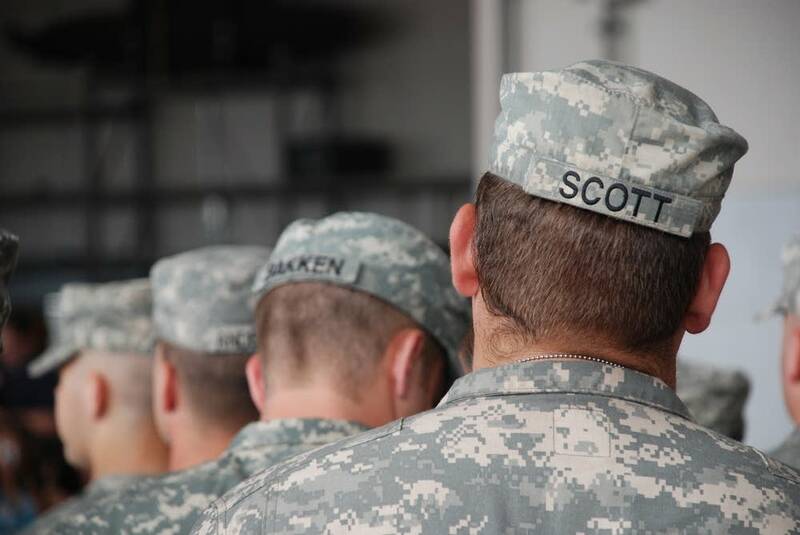 Four hundred and twenty five are part of the Rosemount-based infantry division headquarters, and 350 soldiers come from an Inver Grove Heights-based special troops battalion. Another 169 are members of a Stillwater-based military police company. And the 43 soldiers who make up the Red Bull Infantry Division band are also being deployed. Past missions in Iraq have had Minnesota troops doing everything from building roads and schools to providing security for bases and military convoys. But this time Minnesota Guard members will be working with others, particularly the Iraq military and police, as they work to secure and rebuild their country, according to Olson. "They'll be working with them, not on the physical on-the-ground security, but larger issues like training systems, operations systems, different leadership tactics and techniques." More than 17,000 Minnesota Guard troops have been deployed overseas since the terrorist attacks of Sept. 11, 2001. This deployment is a return trip for one-third of the troops involved. "Most of them, about 67 percent, this is their first deployment," said Olson. "But for the rest it's their second, third -- and in the case of 22 people, it's the fourth time they've gone." Some 2,600 Minnesota National Guard soldiers returned home in the summer of 2007 after spending about 16 months in Iraq. That was four months longer than they anticipated. 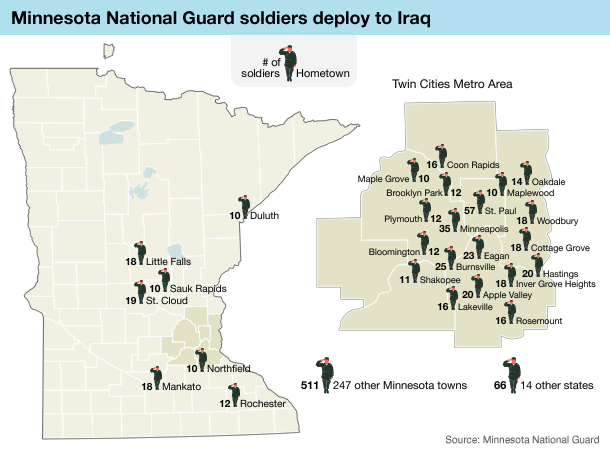 There are 1,100 Minnesota National Guard soldiers in Iraq currently. Another 50 are serving in Afghanistan. This deployment is expected to last about a year. Troops will head to Ft. Lewis in Washington for training from February to April. Then they'll head to Iraq. They're scheduled to return to Minnesota in February of 2010.